Alden Amos’s endless curiosity about machinery and textiles was infectious, and he had a great passion for making rope, too. In the article “Handspun Rope: The Hows and Whys of an Ancient Craft,” which he and Stephenie Gaustad contributed to in the Fall 2015 issue of Spin Off, you can learn about the differences between plied yarn and rope. How is plied yarn different from laid rope? Isn’t plied yarn the same as rope? There are many differences between laid rope and plied yarn, starting with the construction. For example, the simplest of true ropes has at least 6 elements; a plied yarn is remarkable if it has more than 4 elements. Then there is the question of twist. A hand-plied yarn is twisted in “makes”; a make is the distance between fiber mass and point of contact, with about 1 yard of yarn exposed at any given moment. Laid rope has its entire length exposed all of the time. With a plied yarn, there is no practical way to replace twist that is “lost” during the plying phase. Rope, on the other hand, is twisted over its entire length, with all elements receiving or losing twist simultaneously. In rope construction, lost twist can be replaced and excessive twist removed because both rope ends are active. During plying, only one end of the structure is active. Another factor is linear tension. In yarn plying, only enough tension is maintained to enable control of take-up and building motion. In rope laying, element and strand tension is held to a level just below that of kinking, or in some cases just under strand failure loading. This tensile (end-to-end) loading is maintained as long as the rope is being worked. Ropes receive supplemental treatments, such as tar, lubricants, waxes, and anti-mildew dressings. These are applied while the rope is on the walk, under tension and fully extended. After such treatment, ropes are aged for a time to “condition,” then coiled, spooled, or otherwise packaged for distribution. Plied yarns are seldom if ever so treated. 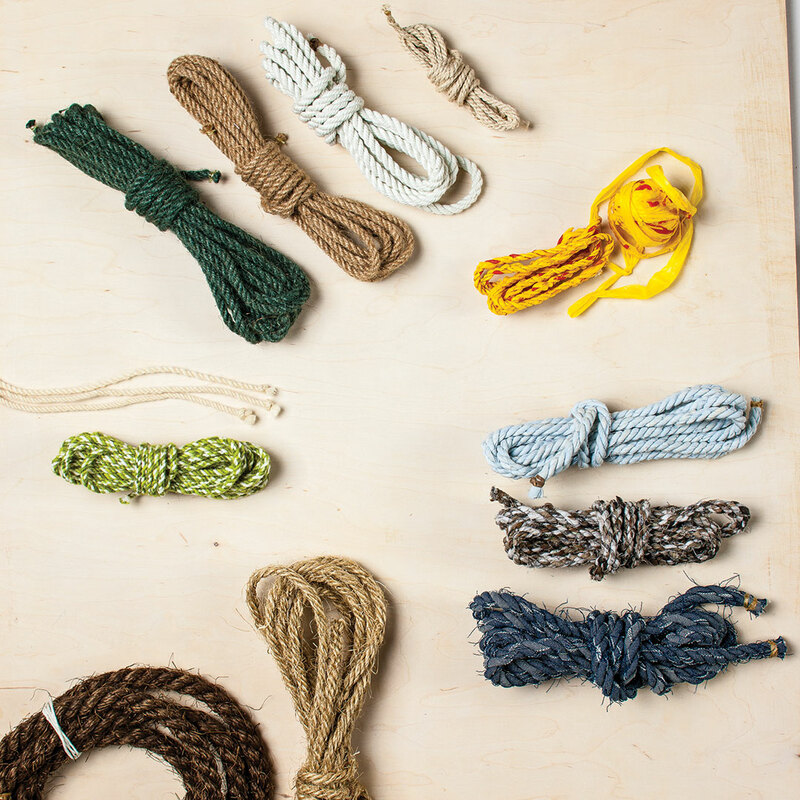 Download a copy of the Fall 2015 issue of Spin Off to read more about making rope. 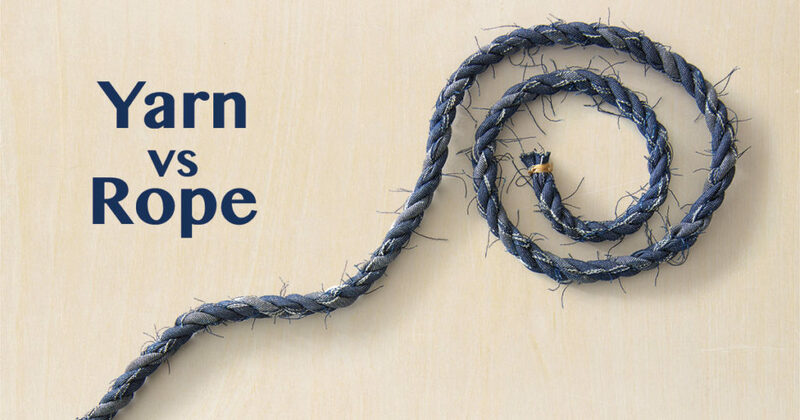 Alden Amos was a writer and tool maker with a deep interest in rope. He was a collaborator in the video Know Your Wheel, and his Big Book of Handspinning is a classic in the craft. Stephenie Gaustad is an author, teacher, and illustrator with a passion for historic textiles and cellulose fibers. She is the author of Practical Spinner’s Guide: Cotton, Flax, Hemp. Learn more about handspun yarn from Alden and Stephenie!